Juventus FC midfielder Mario Lemina is on Valencia CF radar as the club is looking to change up and reinforce the squad, which means wanting to sell Enzo Perez due to his high salary and bringing in a cheaper alternative. 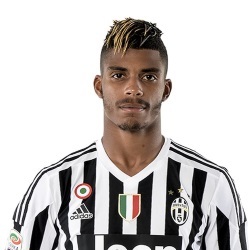 Mario Lemina was a wanted prospect two years ago with Juventus activating his release clause of 9 million euros to purchase him after a successful loan spell there. Since then he's found things more difficult though and hasn't featured as extensively for Juventus FC, coming in mostly as a sub for the team. Valencia CF is looking to pounce on this fact and attract the player with the prospect of regular first team football, while the player should not cost more than 9 million euros transfer fee on the upper limit.